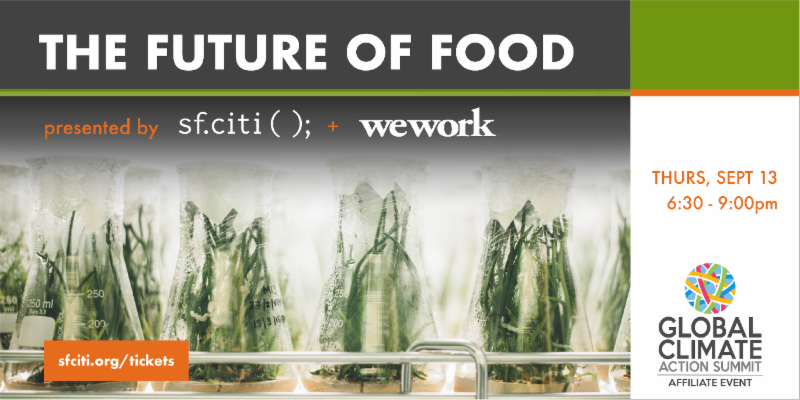 Join sf.citi and WeWork on September 13th for “The Future of Food,” a delectable discussion on the cutting edge of sustainability: food tech. Not only will you hear about the latest in plant-based food alternatives and clean protein from an impressive panel of tech leaders, policymakers, and investors, you’ll get to sample some too! With sea level rise threatening our Bay and fires ravaging surrounding cities, San Francisco is no stranger to the alarming effects of climate change. And in classic fashion, the tech community has been quick to rise to the challenge. Just a few months ago, WeWork set a new precedent of sustainable leadership within the tech industry by announcing its decision to go meat-free. Now, sf.citi and WeWork are joining forces to showcase more ways tech can build a sustainable future through food innovation. An affiliate event of the 2018 Global Climate Action Summit, “The Future of Food” will feature a unique blend of expert insight from the private and public spheres. We’ll hear from an environmentally conscious state senator, leaders in the food tech movement, and other exciting speakers. Stay for a gourmet plant-based meal, desserts, and drinks. Get your tickets quick before they’re all gone! sf.citi’s success connecting tech, government, and community in San Francisco has inspired the launch of a similar group in Seattle. Over the past year, sf.citi has partnered with tech and community leaders in the fast-growing tech hub of Seattle to replicate the sf.citi model and create an affiliate organization known as sea.citi. One of the organization’s first focus areas is education. 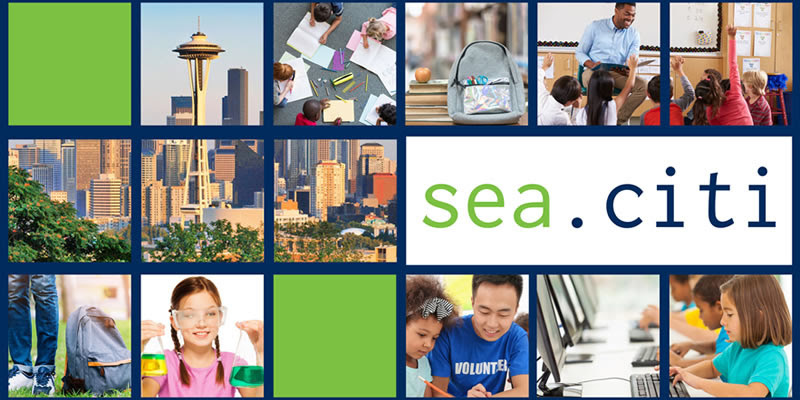 Partnering with national nonprofit Communities in Schools on an initiative called greenlight, sea.citi will galvanize the city’s tech community to donate resources and time to improving ten public schools in South Seattle. In the future, sea.citi plans to work on issues like homelessness, transportation, and public safety. sea.citi’s board includes execs from the city’s largest employers and many sf.citi members, including Amazon, AT&T, Expedia, Facebook, Flying Fish Partners, Google, Madrona, Tableau, Verizon, Vulcan, and Zillow. Tapped to lead sea.citi is Nicholas Merriam, who formerly served as a director of the Global Impact Hub. We would like to extend a warm welcome to sea.citi who shares our mission of driving collaboration between tech and government to build innovative solutions to civic problems. 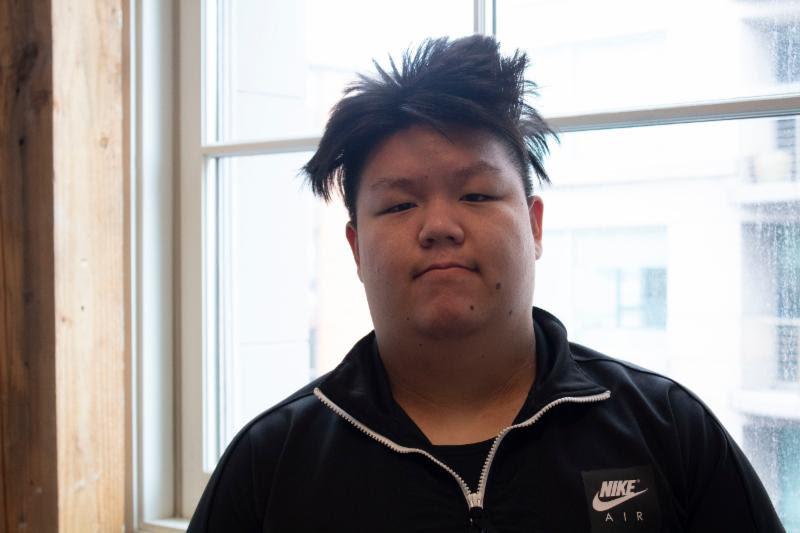 Tyler Yin has completed three summer internships at three different San Francisco companies…and he still has one year left of high school to go. Such a breadth of exposure to real world work environments is all thanks to Future Grads, sf.citi’s summer internship program run in partnership with the San Francisco Police Foundation. Aimed at connecting youth to the robust work opportunities offered by sf.citi member companies and partners, Future Grads attracts many repeat participants like Tyler. Over the past three summers, he’s gotten a taste for healthcare, architecture, and most recently, business and marketing while working at Techtonica. And while Tyler may have loved some of his internships more than others, he credits each with giving him greater clarity about his future. “The differences across my three years have shown me that all work experience is good work experience. Whether or not I liked every company, I took away work- and self-related reflections that I have applied to my everyday life,” writes Tyler about Future Grads. As part of last week’s “Building Companies with Purpose” event, sf.citi Executive Director Jennifer Stojkovic moderated an impressive panel of tech dogooders from sf.citi member companies AdRoll, Airbnb, Lyft, and Salesforce. Hosted by Hustle in partnership with yours truly, TheBridge, and the Bay Area Council, the event broke in the new Hustle HQ. We heard some inspiring stories on creative ways these tech companies are already forging a positive social impact here in San Francisco and beyond, plus ideas for doing more. A big thanks to all who came out to hear from panelists Adam Thongsavat of Airbnb, Brian McGuigan of Lyft, Jamie Olsen of Salesforce.org, and Shelly Vernick of AdRoll. Take a look at the evening’s photo highlights, courtesy of TheBridge, and use the #BuildPurpose hashtagto continue the conversation! 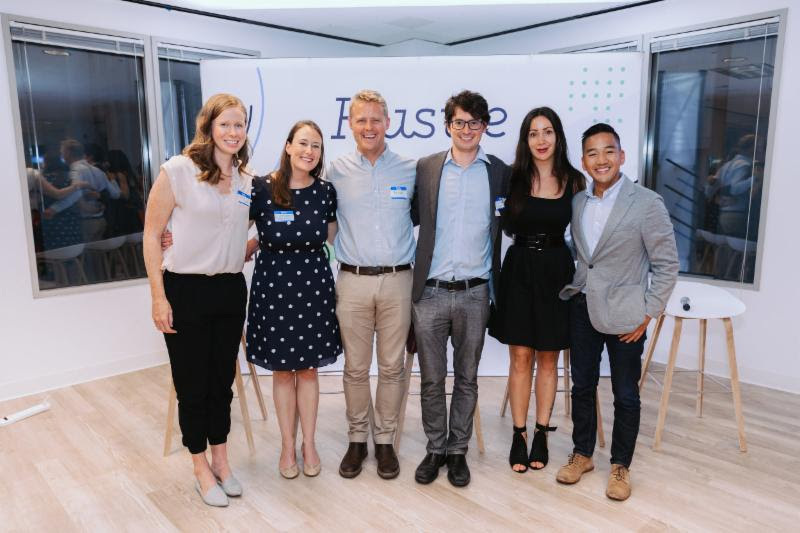 This week, City Innovate’s Startups in Residence (STIR) program premiered the innovative work of its 2018 cohort, which includes tech startups working to streamline everything from trash collection to city planning right here in San Francisco – learn more here.